"ALLLLLLL-RIGHTTTT M I A M I"
...over a pitcher of eggnog is what Mad Dog Mandich and riverdoGary are howling from The Pearly Gates Sports Bar & Grill! The Miami Dolphins have signed a total of FOUR NFL All Star Pro Bowlers in the first four days of 2014's Free Agency Period! One day prior to Tuesday's 4pm March 11th opening of the new NFL season. Owner Stephen Ross' new General Manager Dennis Hickey and previous staff members (Dawn Aponte, Joe Philbin) secured their number one defensive free agent priority in Pro Bowl corner back Brent Grimes who was scheduled to hit Tuesdays free for all. The Dolphin's 2013 defensive standout and team leader Grimes will account for only four million dollars against the 2014 cap and will be in Miami for the next four years. In another beat the Open House Tuesday deadline move. 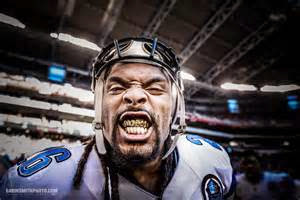 Miami swooped on an enforcer type Safety with the acquisition of Louis Delmas (27) who will upgrade the pre-planned free agency loss of former safety Chris Clemons. Delmas signed a one year 3.5 million dollar deal similar to that of Grimes' 2013 prove it to us contract, and we'll reward you down the road. Delmas, ""It's like turning on the TV and watching a car race, and that one dude who leads the race goes ahead and runs into that brick wall full speed and actually breaks that brick wall. That's what I'm here for."" Once upon Tuesdays 4pm first minute, the actual beginning of the 2014 Free Agency Period and NFL Season. THE MIAMI DOLPHINS addressed their number one offensive priority with the signing of the top rated free agent Left Tackle and Kansas City Pro Bowl All Star Branden Albert (29). He will be quarterback Ryan Tannehill's blindside blocker (a specialty of his) for at least the next three years at approximately 8.333 million per year. Miami inked the extremely athletic Albert to a five year 25 million dollar guaranteed contract. The fourth and fifth years are no guarantee and Miami can get out without compensating Albert if he no longer fits. Branden Albert; ""I'm just here to work and protect Ryan Tannehill""
On Wednesday, a well rounded yet young run stopper and quarterback chaser in Defensive Tackle Earl Mitchell (26) was reeled in at four million per year times four. 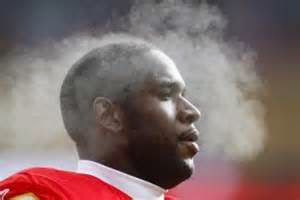 Mitchell will fill the staffs foreseen through a crystal ball loss of Dolphin free agent defensive tackle Paul Soliai. The studly yet one dimensional 340 pound run stopping specialist Soliai (30) signed at a later time with Atlanta for 6 plus million per year. Mitchell has been playing productively for the last three years while out of position in a 3-4 Houston defense as a 300 pound Nose Tackle. His versatility of both run stopping and interior pass rush skills are likely to explode in Miami's most prominent 4-3 defensive scheme, the same scheme he played collegiately at Arizona. The Dolphins new Offensive Line Coach John Benton has first hand knowledge of Mitchell's skills while his OLine faced him everyday in practice for the last three years. Thursday the sun came up so the Dolphins decided that they would re-sign another of their own All Stars, and did so with the extraordinarily versatile, Mr does everything Defensive Tackle and End Randy Starks. The long time Dolphin stud who has never missed a game during his six Dolphin seasons signed a multi-year deal for just over 6 million per year, and less than what Soliai signed for with the Falcons. After Thursday is Friday. Approximately Ninety Six hours after the re-signing of the leagues third most proficient coverage corner since 2010 in Dolphins Pro Bowl Corner Back Brent Grimes. 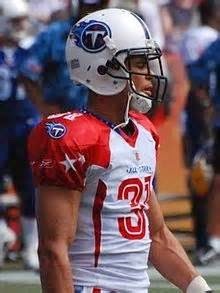 Hickey's Hell Raisers signed 2011's second highest ranked corner back Courtland Finnegan (30). He has had a tough couple of years since his 2011 top ranking, including a facial orbital injury that forced him to miss half of the 2013 season which should not hamper his in your face style. Finnegan is a play making intimidator, a guy that gets in the oppositions head and takes him out of his game. The Pro Bowl All Star signed a new beginning two year contract that is suggested to be in the vicinity of 10 to 11 million. Finnegan will start opposite of Grimes while being a huge upgrade to the pre-determined free agent loss of Nolan Carroll. But wait. Friday is a 24 hour day so the Dolphins sign a much needed guard too by the 4pm Ninety Six hour mark. Shelly Smith (26)is a three year veteran that spent his first year for the Texans (under current Dolphins offensive line coach John Benton). The following two years he was in St.Louis where he started 8 of 11 games played in 2012, he started two of 14 games played last year. Smith is an explosive and very physical run blocker that signed with Miami for two years at 5.5 million total. Ninety Six hours ago (as of Friday March 14th at 4pm). The Miami Dolphins were about to become extremely thin at defensive tackle and corner back with the potential loss of all four 2013 starters. They re-signed their two Pro Bowlers (Grimes & Starks), and addressed the other two free agent losses even before they became losses! They upgraded one of those losses with a nasty former Pro Bowl corner back (Finnegan), and replaced the other specialist with a well rounded youngster in defensive tackle (Mitchell)! Miami entered the process with one legitimate starting offensive lineman on the roster in Elite NFL Center Mike Pouncey. At one minute into the process they signed the prominent left tackle that they have been chasing for several years (Albert). In the ninety sixth hour they signed a young three year veteran guard that Miami's offensive line coach helped develop. They now have three more than capable guards with Shelly Smith, Nate Garner, and Sam Brenner while second year left side guard/potential tackle Dallas Thomas also waits in the wings. A standout veteran is still in the cards that are being dealt. Miami has only one absolutely glaring empty spot remaining, and that is at the right tackle position! The Dolphins still have plenty of money and time to land a right tackle while a few good tackle options still remain. Miami's 2013 left and right side starting tackles Bryant McKinnie (who wants to come back), and Tyson Clabo are two of those few remaining on the market. Though they both struggled horribly early on in 2013, both Bryant and Tyson are very good players who are more than worthy right tackle Dolphin candidates! Both can also play left tackle in a pinch, and a team has to have a reliable backup to their left tackle, the signing of one of them will fill two needs! Should Miami sign one of those two? They will find themselves in great position to seek early round skill players in the upcoming 2014 draft! If not? A couple more early round offensive lineman will remain a necessity! A couple offensive lineman will be drafted anyway at some point, but it would be almost too sweet for them to not be early round priorities! What do you think of Dennis Hickey and his Staff's first 96 hours on the clock?